I wanted something that could be prepared really fast, required no heat, and was refreshing. 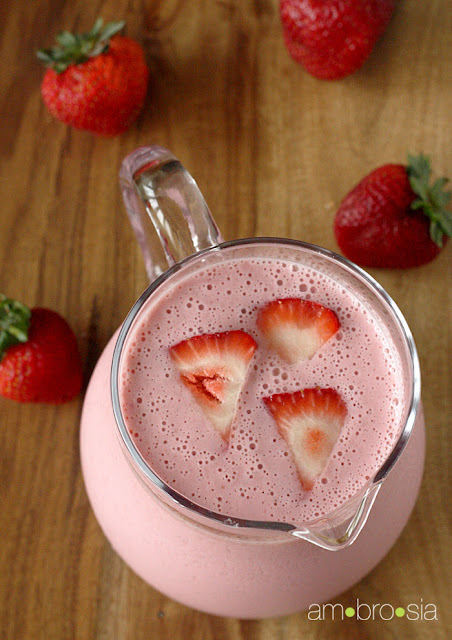 Enter strawberry lassi. 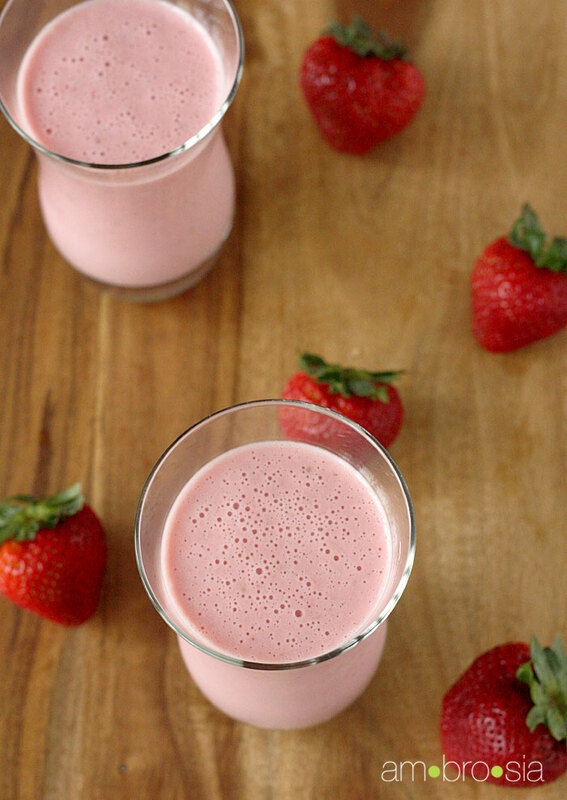 Lassi is an Indian yogurt-based fruit beverage, usually prepared with mango. I absolutely love lassi; I always find myself ordering it whenever I have Indian food (which is fairly often). I had no mangos in my kitchen Friday afternoon, and there was NO way I was braving the heat again to go buy some at the supermarket, so I settled for fresh strawberries, which I conveniently happened to have in my refrigerator. I’m glad I settled. 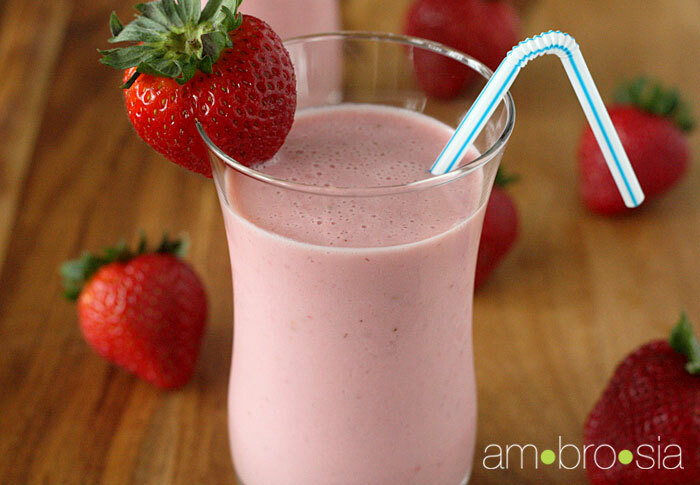 Strawberry lassi may be a bit unconventional, but it’s delicious! 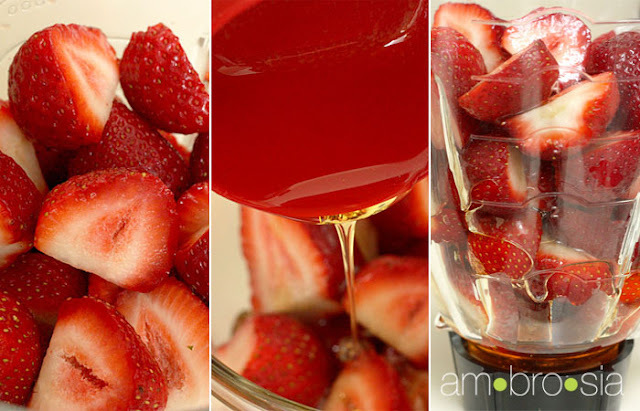 Combine the strawberries, honey, and salt in a blender. 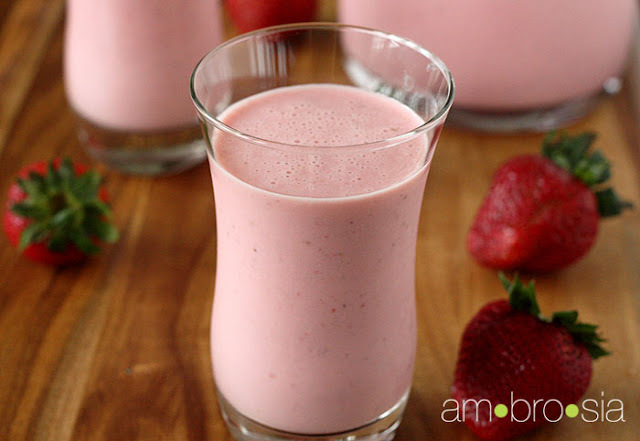 Purée until the strawberries are smooth. 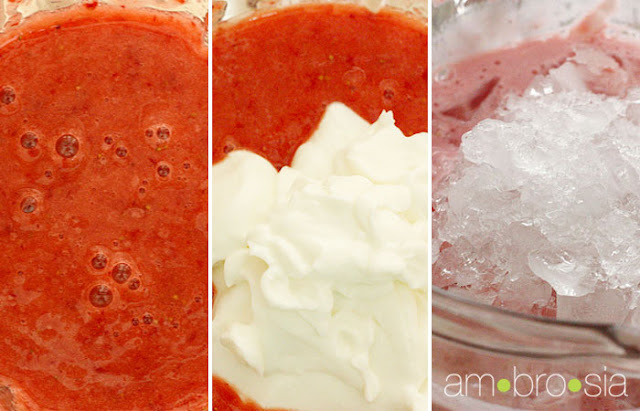 Add the yogurt, and blend until smooth. Repeat with the ice.